Even if the world adheres to the commitments set out by the Paris Agreement, winter temperatures in the Arctic are still expected to rise by 3-5°C by 2050, a UN Environment report concludes. The consequent thaw of permafrost will threaten four million people and around 70% of today’s Arctic infrastructure, leading to rising sea levels, among other severe consequences. The report emphasizes the need for drastic measures to reduce emissions. Cities, local governments and the private sector must work together to leverage emerging technologies to mitigate the effects of climate change. 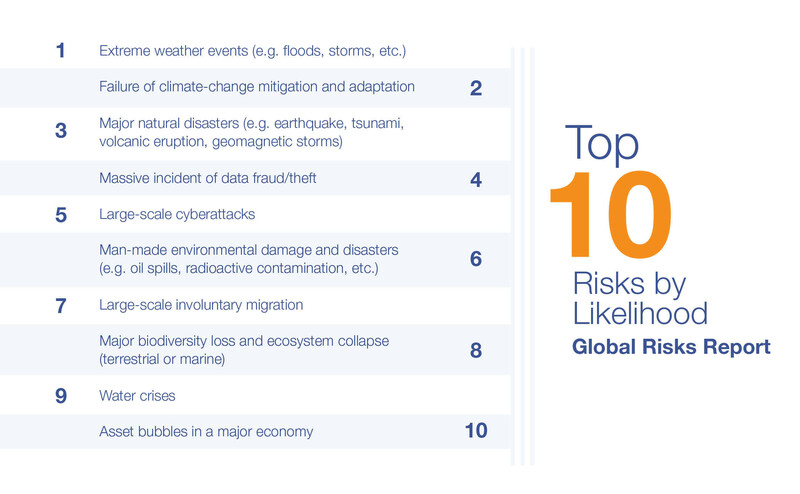 Big data, artificial intelligence (AI), blockchain, mixed reality and 3D printing are already being used to develop solutions that will be vital in alleviating the worst consequences of global warming. Big data describes the collection and processing of a large amount of data into useful and insightful information. Managers consistently use big data to help make decisions and achieve operational excellence. Applied to climate change mitigation, big data can help cities develop more impactful climate action plans. Google has started estimating greenhouse gas emissions for individual cities as part of an ambitious plan to use its valuable data to assist climate-concerned local leaders. “The first step toward taking climate action is creating an emissions inventory”, says Saleem Van Groenou, programme manager at Google Earth. To date, Pittsburgh, Buenos Aires and Mountain View, California have benefited from the estimates and insights generated by this programme. More cities should leverage big data opportunities to learn about their locale in the context of climate change, turning their findings into an actionable plan. Cities can work with Google to help them prioritize high-impact initiatives. Artificial intelligence (AI) refers to computer systems that “can sense their environment, think, learn and act in response to what they sense and their programmed objectives”, according to the World Economic Forum report Harnessing Artificial Intelligence for the Earth. On a city scale, AI can improve overall energy efficiency by incorporating data from smart meters and the Internet of Things (computing devices embedded in everyday objects that enable them to send and receive data) to forecast and predict city energy demand. This would help city utilities providers to optimize energy production, effectively reducing their impact on the climate. Additionally, technology providers are actively developing AI-based simulation tools to aid in future planning. Specifically, IBM has developed a programme that helps cities plan for future heat waves. The programme simulates the climate on an urban scale and explores different strategies to test how well they ease heat waves. For example, if a city wanted to plant new trees, machine learning models could determine the best places to plant them to create optimal tree cover and reduce heat from the pavement. Cities should work with technology providers to understand the best way they can leverage AI-based simulation programmes to ensure more accurate forecasting, as well as city planning that maximizes the mitigation effect of climate change. Blockchain is an emerging technology with many use cases for city governments. Several have already leveraged it to improve process efficiency and enhance data security. Under the 2015 Paris Agreement, 196 countries declared their voluntary commitment to fight climate change. On paper this is promising; however, a recent report by PwC infers that no single country is doing enough to combat climate change. Enter blockchain, a technology that can make it easier for governments to keep track of their emissions. It is a public, transparent system that facilitates international cooperation, as countries can explore what climate action others are taking. This can be complemented by an incentives programme to reward the most active local entities in climate change mitigation. Such a system is in the works through the Blockchain for Climate Foundation, using as design parameters an important part of the Paris Agreement, Internationally Transferred Mitigation Outcomes (ITMOs). National governments should embrace this technology. Local governments can cooperate together on the blockchain, while also being held accountable to meet their own emissions reduction targets. 3D printing is an alternative means of manufacturing that significantly reduces carbon emissions and provides innovative solutions for a disaster-prone world. This is mainly achieved through raw material waste reduction. Some more advanced applications of 3D printing use recycled materials, putting some of the waste produced in cities to good use. This concept could provide cities with a new way to dispose of their trash while getting paid for it. Cities in The Netherlands have taken the lead in experimenting with 3D printing infrastructure elements. A 12-metre steel pedestrian bridge to be installed across a canal in Amsterdam later this year was constructed using 3D printing. In 2017, an eight-metre long concrete pedestrian bridge was 3D printed and installed in the Dutch province of Brabant. Meanwhile, 3D printed houses and offices have proved successful in China and Dubai respectively. In all these use cases, construction waste was minimized through 3D printing. As this technology develops, it promises to become more scalable, which will disrupt the construction industry. 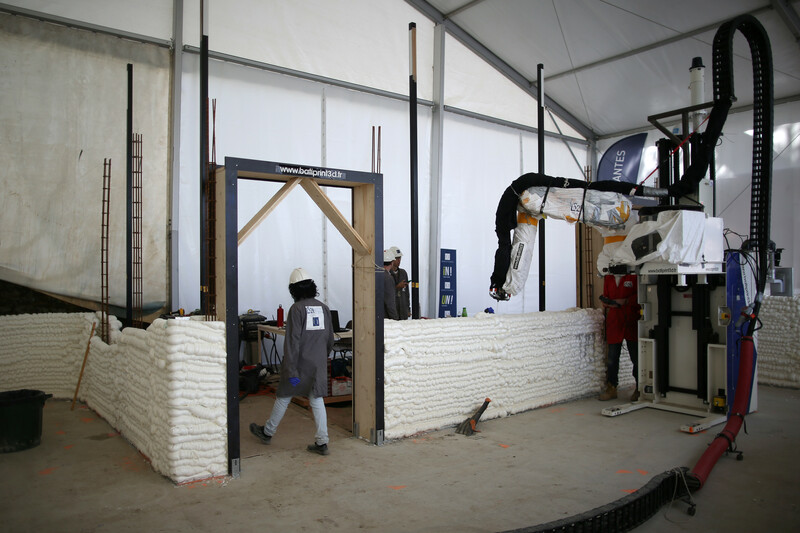 Cities can incentivize the use of 3D printers to reduce waste produced by the construction sector, ultimately minimizing its environmental impact. Virtual reality is a powerful and engaging tool to highlight the effects of climate change and help cities to identity priority communities to receive climate adaptation, economic development and risk reduction investments. The Californian city of Santa Cruz, known as a leader in coastal planning, is making use of VR technology in its public outreach efforts. It is working with the Center for the Blue Economy and its 3D VR product “Sea Level Rise Explorer”. The first phase of the project allows the user to visualize the effects of climate change, including a 2.4-feet sea level rise and a 100-year storm. The next phase of the project will involve 3D models of proposed adaptation actions. Santa Cruz has used this technology to raise awareness in its community about the dangerous effects of climate change. Cities can further leverage mixed reality technology to visualize possible scenarios and solutions, and make better decisions on climate action. It can also encourage buy-in from their citizens. The successful application of these emerging technologies requires strong cooperation between the public sector, which includes the decision-makers for city developments, and the private sector, which provides the key drivers of innovation.